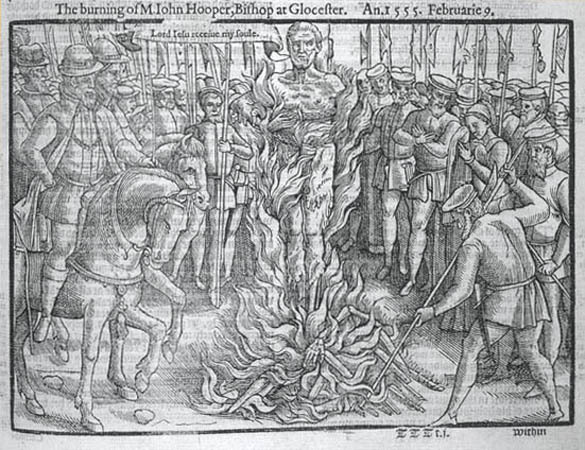 On this date in 1555, English Calvinist John Hooper fell victim to Mary Tudor’s abortive bid for Catholic restoration. A onetime monk on the receiving end of the Dissolution of the Monasteries, Hooper got the evangelical bug by reading Zwingli and became more un-Catholic than the anti-pope. 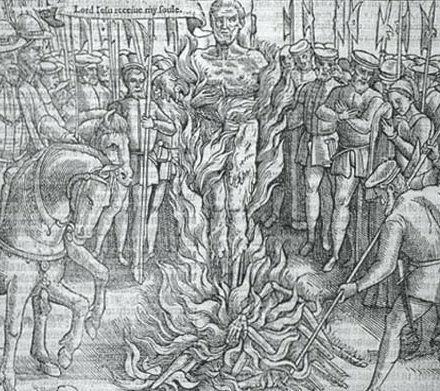 That meant that in quasi-Catholic Anglican England, he had to hot-foot it over to the continent a couple of times to keep out of trouble. 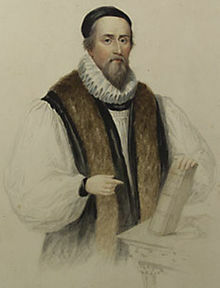 Even when more aggressive reformers took the lead after Henry VIII died, Hooper proved a gadfly; he’s noted for setting off the decades-long “vestments controversy” with his denunciation of the “Aaronic” ceremonial garb donned by priests. He survived the fall of his patron Edward Seymour, but the death of Edward VI and the ensuing succession of the Catholic Queen Mary Tudor was Hooper’s demise. Historians may debate whether “Bloody Mary” really deserves her unkind nickname, but had she left a proto-Puritan loose cannon like Hooper unmolested, she would have indeed been a little lamb. A large collection of Hooper’s writings (including the foregoing) is available at this Google books freebie.